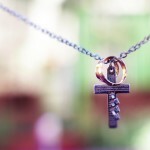 Are you looking for a Christian counselor that shares your faith? Do you want Christian counseling with someone who values spiritual and religious beliefs? Have you tried other counseling that simply did not integrate your faith into the counseling process? Do you want counseling that is consistent with Biblical principles? Or perhaps you are seeking spiritual growth and want an experienced Christian therapist to help you in your faith journey. 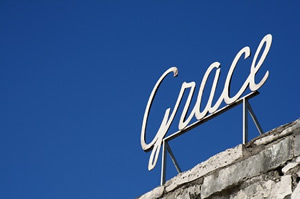 Maybe you want God’s grace and truth to be an integral part of your counseling experience. If you are looking for a Christian counselor in the Phoenix or Scottsdale area the Crossroads is the place for you. All of the therapists at Crossroads have expressed having a personal relationship with Jesus Christ. Each counselor incorporates Christian values into the counseling process. 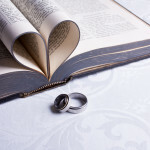 If you are looking for a Christian marriage counselor to assist you in creating a Godly marriage then we can help. Maybe you are looking for a Christian therapist to help you with depression, anxiety or trauma. If this is the case then we have a Christian counselor that will help you in your journey. Finally, if you are looking for a Christian therapy to help you in your faith journey, to grow closer to God, then a Crossroads therapist can act as your guide. To learn more about Crossroad’s Counseling Mission, Vision, Core Values, and Statement of Faith click here. The Christian Counselors at Crossroads Family Counseling Center care about you. 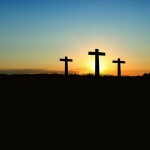 Do I have to be a Christian or religious in order to receive counseling at Crossroads? When you come for counseling at Crossroads you will never be met with a condemning attitude. Our focus is to build each other up, speak the truth in love, embody grace, and to foster transformation and growth to you and to your relationships. Our therapists respect and honor all beliefs and will work with you wherever you are. We can custom tailor your counseling experience to work within your parameters and to fit your needs. To learn more about Crossroad’s Counseling Mission, Vision, Core Values, and Statement of Faith click here. Is there a difference between Biblical Counseling and the type of Counseling Crossroads offers? Yes and no. Biblical counselors are often lay counselors who are not licensed in professional counseling but who have received training in utilizing the truths found in Scripture as a part of their counseling process. All of our therapists are licensed professionals who have received master degrees within the field of counseling and who can integrate Biblical principles in the counseling process. The Christian therapists at Crossroads believe that all psychological principles need to be weighed against the grid of Scripture, and that Scripture holds the final authority. With this said, our Crossroads Christian therapists utilize models and theories of therapy such as Emotionally Focused Couples Therapy that are consistent with God’s view on how we are created for relationship and to be in relationship with God and others. To learn more about this please click here. Are you going to pray or read the Bible during our appointment? Crossroads Christian counselors will only pray or reference Scripture if it is requested by the client. If you are comfortable and open to this then we can make it a part of your counseling experience. Is Crossroads Family Counseling Center part of a church? No. Crossroads Family Counseling Center is not affiliated with any specific church. We partner with several churches offering counseling services to their members in our Phoenix/Anthem and Scottsdale office locations. The marriage, family, and individual counseling services you receive through a Crossroads Christian Therapist may differ from the guidance given to you be a pastor or lay counselor. While many pastors and lay counselors are trained to provide support they lack the professional expertise that comes with the education and training of a Licensed Professional Counselor. It is for this reason that many pastors refer people to us, as professional Christian therapists, when they recognize a need for deeper psychological, emotional, and/or spiritual help. I’m ready to start my counseling. What are the next steps? Help is just a phone call away. Our Phoenix and Scottsdale Relationship Centers are conveniently located to serve you. If you would like more information on Phoenix or Scottsdale Christian Counseling and to learn how a Crossroads Christian Therapist can help you call us at 623-680-3486 or text us at 623-313-5138. Email us at info@crossroadsfcc.com to speak to a Christian counselor. We offer a complementary 20 minute phone consultation.